Toot-Toot! 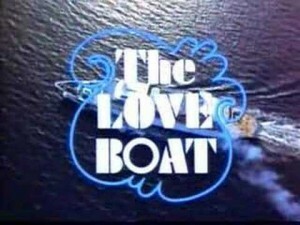 The love boat is about to set sail. This weekend is all about bringing out the love and many of you have spent weeks agonizing over the perfect gift to give to the special people in your life. Now some of us, um namely me, will pick up a pizza, put on some jammies and plan a night inside watching a movie. So….. What’s good at redbox? Austenland was an awesome book and is now a full length movie produced by Stephanie Meyer. Hooray! Ender’s Game another superb book now turned feature length movie produced by author Orson Scott Card. My 9 year old read this book loved it and is dying to watch the flick. Percy Jackson Sea of Monsters my tween daughter Samantha read this book series and has just been waiting for a weekend when we could finally sit down and watch this movie. Cloudy With A Chance Of Meatballs 2 a sequel based on the popular children’s book. This film is a fun time for a more family based Valentine’s evening. Beware the taco-dile, his spiciness just might get you! Despicable Me 2 cute and once you have watched it you won’t be able to stop signing the song Happy. We saw the Percy Jackson movie, and we thought it was good! The ship where my hubby and I met was nicknamed The Love Boat. In fact, we were docked along side her in the Ukraine and I have a deck of cards from her. She's a small cruise ship in comparison to the monster size ones of today. Our ship was as old as the Titanic. Thankfully, we never sank. :) Thanks for linking!